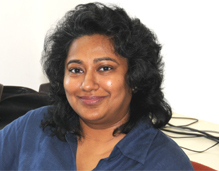 Ms. Sumita Kumar, Senior Research Associate, joined IDSA in 1993. She specialises on South Asian security issues with a special focus on Pakistan. Her research publications have covered a diverse range of issues concerning Pakistan’s foreign policy, strategic thinking, internal politics and security, energy security, and role in regional cooperation. She has published chapters in books and articles in journals in India and abroad, as well as the Indian media. She has done in-depth research, and prepared reports for various agencies and organisations, including the National Security Council Secretariat. She has given briefings and lectures to members of the Indian armed forces and paramilitary forces as well as at academic institutions. She undertook the editing and supervised the production of IDSA’s publications under the outsourcing scheme for four years during which three books were published. She was Staff Representative on the Executive Council of the Institute from September 2004 till October 2006. She has had a research stint at Tashkent, Uzbekistan and has been a guest researcher at the Bonn International Center for Conversion, Germany. She has been an Associate with the Pakistan Security Research Unit, University of Bradford, UK from March 2007 to March 2013, and of PSRU, Durham University since April 2013. She has visited Pakistan a number of times and conducted wide ranging interviews. She is an alumnus of Jawaharlal Nehru University. She organised the annual South Asia Conference in 2012 and edited the volume which resulted from the proceedings (Stability and Growth in South Asia, IDSA & Pentagon Press, 2014). Her publications include a co-edited book on India’s Neighbourhood: Challenges Ahead (IDSA & Rubicon Publishers, 2008) and a chapter on China’s relations with Pakistan in the China Yearbook (IDSA, August 2015). She was a member of the IDSA team that brought out Pakistan Project Reports titled Unending Violence in Pakistan: Analysing the Trends (November 2014); Pakistan on the Edge (April 2013); and Whither Pakistan? Growing Instability and Implications for India(June 2010). Other publications include a chapter on “US Measures Against Pakistan’s Nuclear Policies, 1990-2001,”in Putting Teeth in the Tiger: Improving the Effectiveness of Arms Embargoes co-edited by Michael Brzoska and George A. Lopez (Emerald Group Publishing Ltd., Bingley, 2009); chapters assessing the political situation in Pakistan and the prospects for regional energy cooperation in India and Its Neighbours:Towards a New Partnership (IDSA, 2008); a chapter on the army in the power structure of Pakistan in Pakistan In a Changing Strategic Context (2004); and on Pakistan’s nuclear weapons programme in Nuclear India (1998). What has emerged over the past two weeks is a well calibrated strategy meant to increase the costs for Pakistan of continuing its policy of supporting cross border terrorism as an instrument of state policy. Resuming talks with Pakistan sooner rather than later is important. These should now be part of a sustained effort of diplomatic outreach towards Pakistan rather than an on-and-off affair. Even faced with the improbability of making much headway on terrorism and Kashmir in the resumed dialogue, it is still important for India to engage with Pakistan. While Nawaz Sharif was careful not to publicly bring up the Kashmir issue, it does not necessarily portend any change in policy. It remains to be seen whether Sharif will be able to cash in on the conciliatory gesture of Prime Minister Modi and assert his own priority of improving relations with India vis-a-vis the hostile elements within his country. Nawaz Sharif having expressed his intentions of improving relations with India will try to give trade a big push. Yet, one should not expect policy changes related to terrorism targeted at India or its aversion to India’s presence in Afghanistan. In a nation beleaguered by a multitude of problems ranging from a deteriorating law and order situation to massive power cuts and a sliding economy, Imran Khan’s Pakistan Tehreek-e-Insaf has become a beacon for change. The strategic outlook of the political, bureaucratic and military elites in Pakistan was shaped by historical exigencies, geopolitical location, Pakistan's self-perception, and its Islamic credentials. Pakistan's military-dominated leadership formulated strategies towards regional and extra-regional powers based on its threat perceptions. The strategies adopted have not necessarily resulted in fully achieving the objectives for which they were formulated.